After the end of the lethally dangerous stage of the eurozone crisis, it was rather an exception the summits of the leaders of the EU member states not to be accompanied by a British scandal. The situation has fiercely deteriorated around the European elections and the new procedure for election of European Commission president. The sharp, irreconcilable and peremptory tone of the UK Prime Minister David Cameron intensified the tensions between Brussels and London to excess. Throughout the whole summer and the beginning of the autumn political season, it seemed as if there are efforts for reconciliation and peace. The feeling that a long-term truce is on the way was very strong after the European Parliament approved the nomination of the British candidate for EU commissioner, Lord Jonathan Hill. The truce, however, ended on 23-24 October when a real scandal broke out in Brussels during the October European Council. Usually, the October summits are very important and rough but this time the summit seemed boring and unproblematic until Mr Cameron made out of a relatively small problem a huge scandal. During the first day of the summit, the adjustments of the European Commission of the member states' contributions to the common European budget became public. According to the budget regulation, each year the Commission makes technical adjustments before the budgetary procedure for the coming year. The adjustments are necessary because the contributions of the member states are based on their gross national income (GNI) and the current market prices. The budget has been agreed on the basis of the 2011 market prices and each year adjustments are made to the current prices. According to the forecast published in September, the GNI in 2015 is calculated at 13.9 billion euros in current prices for the entire EU. The data of the national statistical bodies, verified by Eurostat, suggested that because of its good economic performance Britain owes additionally over two billion euros which must be paid by 1 December. This turned into a leading topic at the summit after Prime Minister David Cameron interrupted the second day of talks just when the prime ministers and presidents discussed the economic situation in EU to demand this problem to be resolved. Talking to journalists afterwards, he complained that while the UK economy was developing very well, the European economies didn't grow fast enough. "We're building homes, we're making things again in Britain, we're seeing a strong economy. But we have to be frank, there are threats from the slow growth in Europe. So, we have a role here to encourage the structural reforms that we've made to make sure that people said and stuck to targets in terms of deficit reduction and make sure that Europe does the key deals". Right after saying this, David Cameron stated that the European Commission had produced a "completely unjustified" bill for over 2 two billion euros. "This is an unacceptable way for this organisation to work", he added and firmly announced, while hitting hard the lectern, that he had no intention to pay. What is curious is that, to him, the size of the amount was not the problem nor did he contest the legality of the decision. His verbal outpouring revealed that he finds unacceptable the way the bill was presented, especially to a country which "has invested so much" in Europe. An odd statement, because it suggests that to David Cameron there cannot be equality within the EU but for some countries the rules should not be applied because they pay more than others. Nonetheless, he admitted and explained in detail that each year adjustments are made and that they were not news to him, but he insisted an urgent solution to be found. In his words, he enjoys the support of the leaders of The Netherlands, Malta, Greece and Italy. Upon UK's insistence and with the support of other countries, an extraordinary meeting of the EU finance ministers will take place where the situation will be discussed. European Commission President Jose Manuel Barroso, whose term expires in the end of the month, explained that this was an annual procedure which works with data produced by the member states. According to him, these data should not be a surprise for them as the calculations are based on the newly agreed system for own resources under which is David Cameron's signature as well. This system introduces a uniform rate to be applied on each country's GNI for the period 2014-2020. In the agreement on own resources, it is pointed out that Denmark, The Netherlands and Sweden benefit from gross reductions of their contributions, measured by 2011 market prices and adjusted for each year individually. These reductions will be ensured after UK's rebate is calculated. The problem with the big figure stems from the fact that the UK's national statistical body has changed the method of calculation of the GNI which led to its abrupt increase. 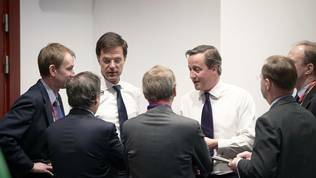 Apart from the UK, a significantly higher sum should pay also the Netherlands. Mr Barroso recalled that the Commission proposed various ways for financing the own resources of the European budget instead of the GNI, but the Council insisted on keeping this indicator. "I understand, of course, the concerns it has raised in London, but any person that has to look with objectivity and honesty to the rules that were approved by the Member States has to accept that sometimes these decisions happen", the outgoing European Commission chief said, adding that this problem would be resolved by the incoming Commission. 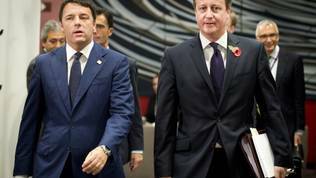 In his anger, David Cameron afforded himself to reveal his conversation with his Italian counterpart Matteo Renzi. He quoted the Italian prime minister as saying that the bill Britain received was a "lethal weapon", admitting that he might have problems with revealing a private conversation between the two. He suggested, though, that as Mr Renzi was a "reasonable man" he would hardly have anything against this. Renzi himself denied in front of journalists to had said this, specifying that he rather had in mind bureaucracy and purely technical issues. To him, this is not a big problem and if it comes to discussing how much Italy contributes to the EU budget then it is also necessary to say how much it benefits from Europe. 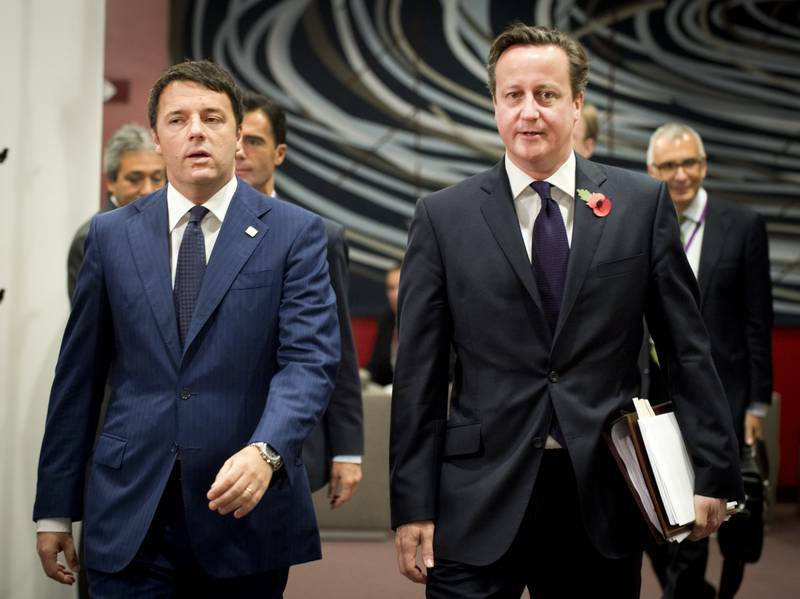 Matteo Renzi underscored several times that this was a purely technical issue. To many, David Cameron's behaviour was unacceptable. 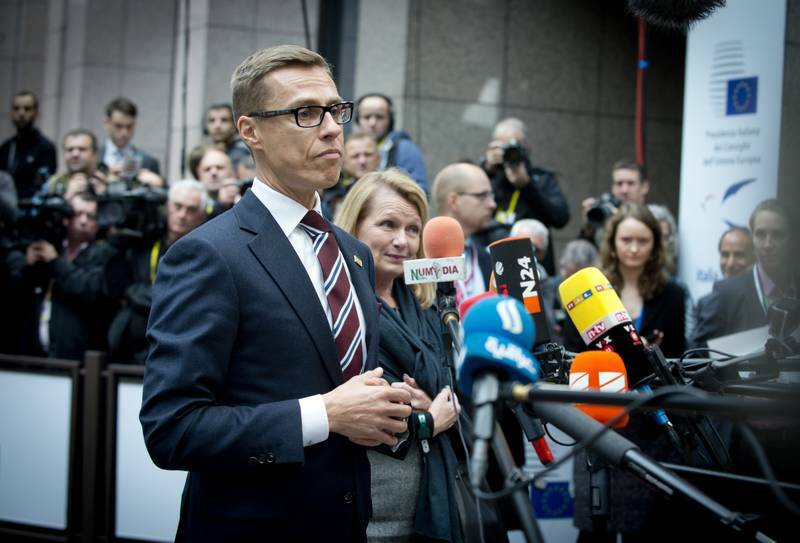 Before the beginning of the second day of the summit, Alexander Stubb, the premier of Finland, said that the EU was not an accounting exercise whereby you look at how much you put in and how much you get back. "The UK, much like Finland, is a rich country. The UK, unlike Finland, has a rebate regardless of its economic power. 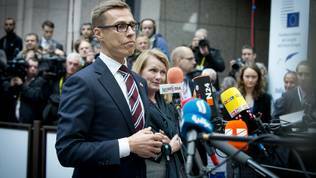 So, I think it's very i mportant that we don't start treating the EU as some kind of a simplified accounting exercise", the Finnish premier said, adding that sometimes we make an elephant out of a fly. Ireland's Prime Minister Enda Kenny, too, recalled that rules must be obeyed. "Clearly, you sign on for Europe you sign on for rules and, obviously, the rules have to be abode". 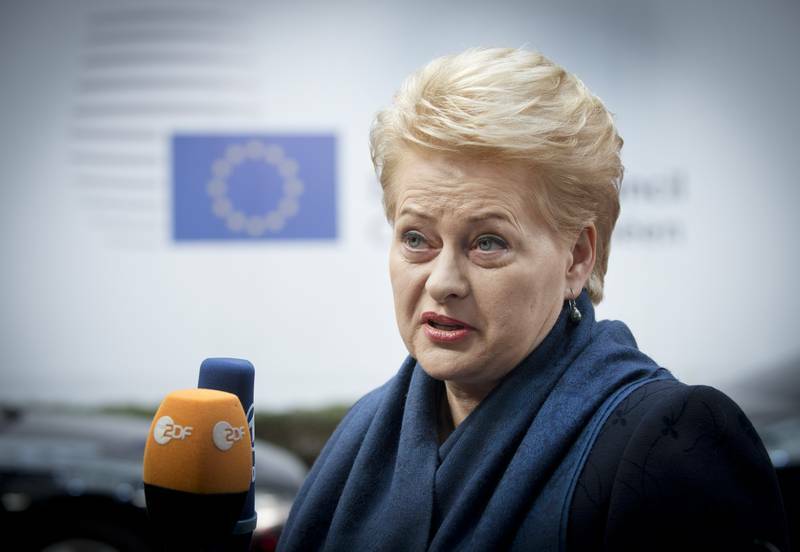 Lithuania's President Dalia Grybauskaite was even clearer and more explicit. She recalled that in 2010 new accounting rules were agreed which were known to everyone. The most interesting element of the story, she said, is that Eurostat has become very independent from political pressure and "thanks God, because, otherwise, decisions will be based on political weight of a country not on objective figures". Ms Grybauskaite, who was a commissioner in the period 2004-2009 precisely for financial planning and the budget, recalled that 7-8 years ago Greece, too, was asked to pay 2.5 billion euros because for 10 years several governments "were not very, how to say, nicely presenting their GDP growth and there was a lot of elements of not, let's say, very precise and proper information". In the end of the day, however, they were under pressure to pay and they paid. 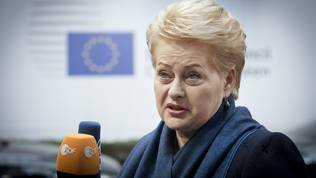 We should not blame anyone but ourselves, Ms Grybauskaite recommended. Zoran Milanovic, the prime minister of Croatia, too, was quite sharp saying that the rules are very strict and there is no "I didn't know". According to him, everything is based on statistics which are a "holy scripture". It is very dangerous to convey whatever political message that the numbers are being twisted. It is no surprise that the UK should pay 2 billion euros. This amount will not harm Britain nor will it feel it just Croatia will not feel it nor would it resolve all its problems with the 18 million euros it will receive back because of a fall of the GNI. Asked by journalists, he said that he had no intention to boast these 18 million in Croatia and to make a political issue out of it. "This is just statistics", he concluded. All these positions put David Cameron in an even greater isolation at European level. The main problem of the British prime minister is the fast and confident rise of of the UK Independent Party (UKIP) led by the MEP Nigel Farage. The party already has a member of the British Parliament. 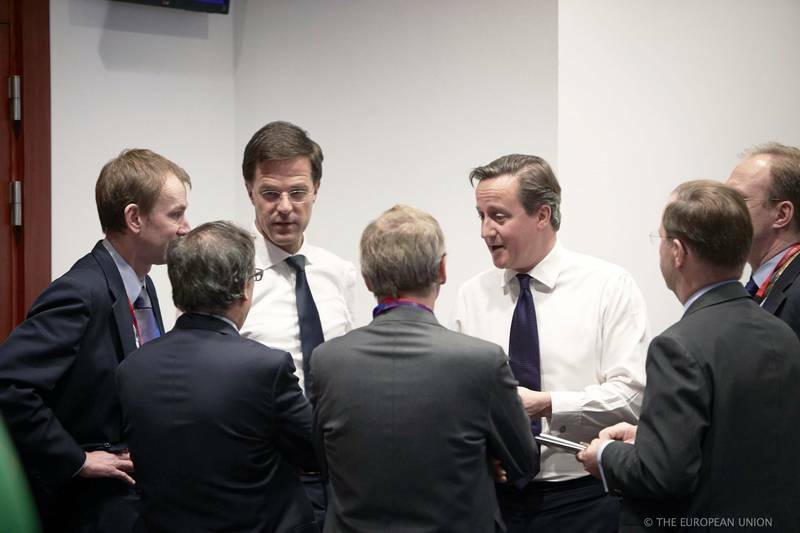 Members of Cameron's Conservative Party have, in the mean time, started to defect to UKIP. Nigel Farage himself wrote on Twitter after the scandal broke out that the prime minister used to claim that he had secured a reduction of the EU budget and now the UK's contribution is rising. The irony is that, indeed, one of David Cameron's big battles was precisely around the negotiations of the EU budget. He managed to achieve, for the first time, a nominal reduction, although the Union already has 28 members. The prime minster continued to state that he would not pay. He did it again on 27 October in the British parliament. This raises very seriously the question whether this does not preordain a possible referendum on Britain's stay in the EU. To such a question on Friday, Mr Cameron answered affirmatively which should also be as scandalous bearing in mind that there is still no clarity whether there will be a referendum or not. It is certain, however, that because of Cameron''s nervousness around his personal political survival the tensions on the other side of the Channel are seriously growing. Right at a time when the EU is, again, on the brink of a crisis and needs a serious discussion about the future, David Cameron decided that his personal political survival is more important, although he admitted only seconds earlier that the economic situation in the EU is affecting badly the British economy. Cameron behaves absurdly, as if the referendum had passed and the answer is "no". This is not a responsible behaviour neither nationally nor in a European aspect. It is a pity that Cameron never managed to understand this during his 4 year-long governance and participation in EU summits.